The arrival of All Hallows Eve is lurking around the corner and haunted attractions housing zombies, vampires, and ghosts are popping up all over the world. While the staged acts use special effects and fog machines to conjure up a few screams, for some, the creepy history alone is enough to send chills down their spines. Whether you are looking to travel for some eerie entertainment or to hit up a historical haunt, this list has enough scary and scripted options to leave you shaking in your boots. Eastern State Penitentiary: This Philadelphia prison was the first to practice solitary confinement. The prisoners were kept isolated and did all activities alone, until overcrowding forced the institution to abandon inmate separation. Along with this treatment, the guards and facility counselors developed different physical and psychological torture techniques that ultimately caused mental illness in many of the inmates. Since closing in 1970, visitors have reported sightings of dark figures and sounds of lonely wails echoing through the halls. The prison is open for tours year-round, along with a haunted house attraction from September to November. 13th Gate: Feel like crawling through a crematory oven? 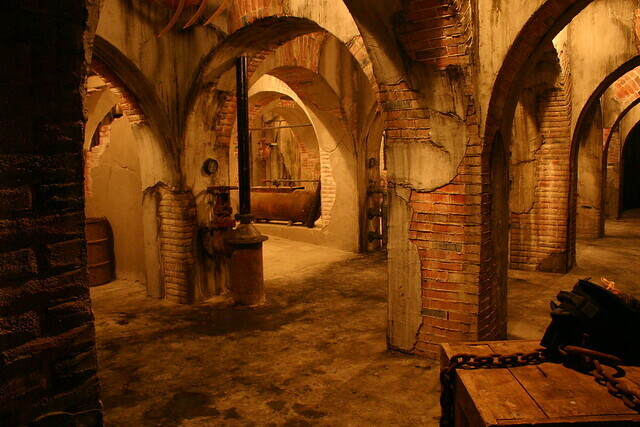 How about wandering through dark, underground tunnels? This popular Baton Rouge Halloween hot spot has been consistently rated as one of the best-haunted attractions from several outlets over the past 7 years. From September to November, 100 professional actors and 12 special effects make-up artists come together to create grisly characters such as fiendish zombies and voodoo loving witches. Edinburgh Castle: With a history dating back to the 12th century and hundreds of reported ghost interactions, it’s no wonder that Edinburgh Castle is one of Scotland’s most visited tourist attractions. The castle has stood through numerous executions and attacks, ultimately becoming one of largest sites of paranormal activity. Drops in temperature, shadowy figures, and the feeling of tugging on clothes and body parts are only a few of the many reported experiences of visitors. SCREAM! At Madam Tussauds London: Forget standing around like a statue! Visitors travel through the Chamber of Horrors with hair-raising surprises, such as crazed inmates, hidden in every corner. With live and on-the-loose actors running around, expect a sore neck from constantly checking over your shoulder for things that go bump in the night. From New York to Tokyo, haunted house enthusiasts from all over can stop in for a quick scare while visiting this infamous wax museum. 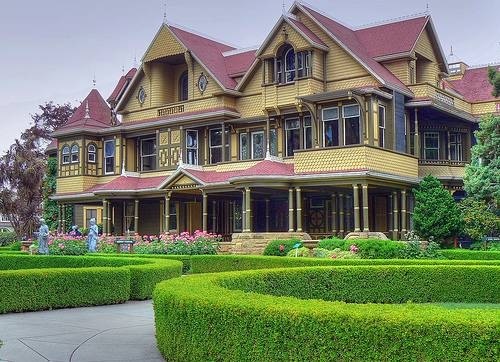 The Winchester Mystery House: Once owned by Sarah Winchester, the widow of gun tycoon William Wirt Winchester, this property has become a haunted landmark in Northern California. A medium told Winchester in order to prevent the spirits of those killed by Winchester guns from harming her, she needed to continuously build a house for them. The house was under construction every hour of every day for 38 years, with the hopes that no spirit would settle there. With a total of 160 rooms, doors that open to brick walls and stairs that lead nowhere, this mansion has become a heavy influence in pop culture. 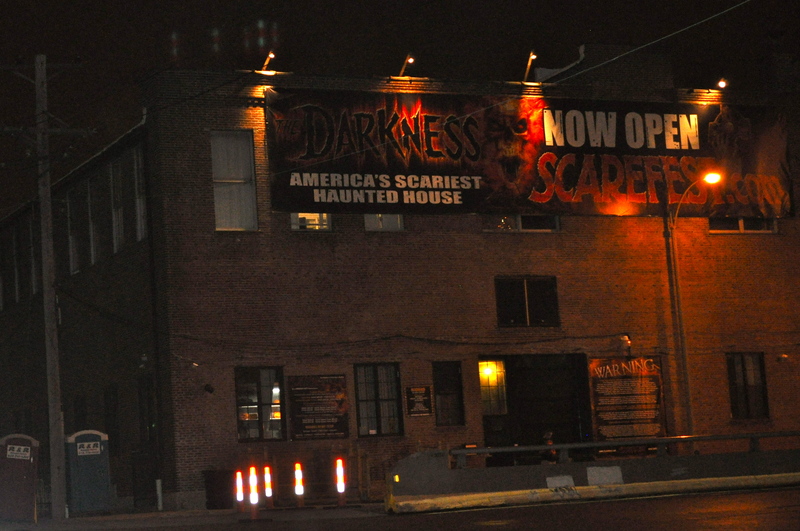 The Darkness: Labeled as one of the premiere haunted houses in Missouri, this devilish dwelling has drawn attention from media giants such as the Travel Channel, The History Channel and USA Today. From flying zombies to a live reptile section featuring piranhas, pythons, and scorpions, the attractions are completely renovated every year with an annual budget of almost $1 million. With a monster museum, a 3D house tour and a two-story walk through exhibit, this is the trip of a lifetime for the ultimate horror fan! The Catacombs: Underneath the brightly lit streets of Paris, millions of human bones act as a type of structural support for parts of the city. This underground cemetery originally acted as a temporary solution to improper burials and strengthening the structure of the streets. In the 1860s, city workers dug up many of the surrounding graveyards for bones to be used as building materials. After opening a small portion of the underground catacombs to the public in the late 18th century, there has been no shortage of reported ghost sightings throughout the years.